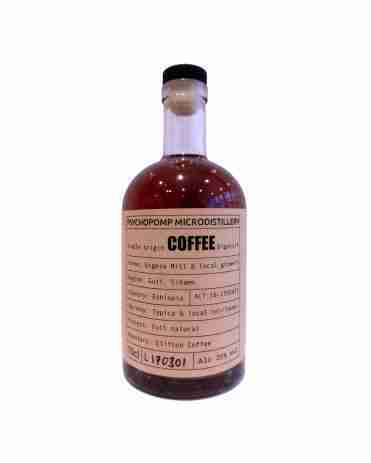 Welcome to Psychopomp Microdistillery. We are a small, independent distillery in Bristol. We use small, handmade copper pot stills to produce craft distilled gin in small batches and limited quantities. We create classic and seasonal recipes for our gin loving customers, and bespoke recipes with our partners. We are based in Bristol and supply our products throughout the UK. Our main site of operations is 145 St Michael's Hill, Bristol. We are open to the public 12pm -10pm Tuesday to Friday. Saturdays are reserved for our ticketed events. All of our spirits are made in small batches. We produce gin, absinthe, aquavit, single origin coffee digesifs and bottled mixed drinks. We produce our graft distilled gins on 30L copper pot stills using a 'single shot' method. Woden was our first gin and is available all year. 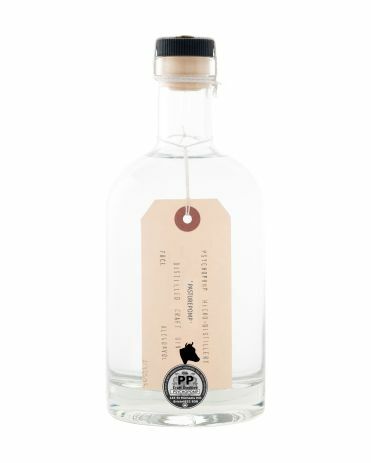 It is a classic London dry gin with juniper berries, coriander seed, angelica root, cassia bark, fresh grapefruit zest and fennel seed. It is perfect in a G&T with a large wedge of grapefruit or in any classic gin cocktail. We also produce limited runs of seasonal gins as the seasons change. Runs are limited to 750 bottles, each numbered. The gin for a particular season is only produced in two consecutive years before being replaced by a new recipe. We develop and distil gins for many of our friends around the country. These gins are unique expressions created specifically for, and with, our collaborators. A rotating selection of these gins are available from our online shop. We produce a variety of other spirits, each one as unique as our gins. We distil a Parisian style absinthe using the same 'single shot' method as our gin. The absinthe is then aged in French oak. We also distil aqvavit, again using the same 'single shot' method. The aqvavit is in the Danish style, and a great alternative to gin. We were the first in the UK to produce an Engish aquavit. We produce a single origin coffee digestif using a method known only to us. The coffee digestifs are rather special and showcase whichever seasonal bean we are using at the time. We put on unique events every month including our 'Distiller's Table'. Every Saturday afternoon between 3pm and 6 pm. Gift Vouchers for "Distil Your Own Gin" Sessions are available through our online store. Our 'Gin Experience' includes a tour of the distillery and a tutored gin tasting with one of our distillers, followed by G&Ts and gin cocktails. Vouchers for our 'Gin Experience' are available through our online store. Vouchers are redeemable tuesday to Thursday 12pm to 9pm. Advanced booking required. Our blog is a place where our team share more information about what we do, and how we do it. © Psychopomp ltd. All rights reserved.